I had just seen a video tutorial on how to make an explosions card and had to try it. 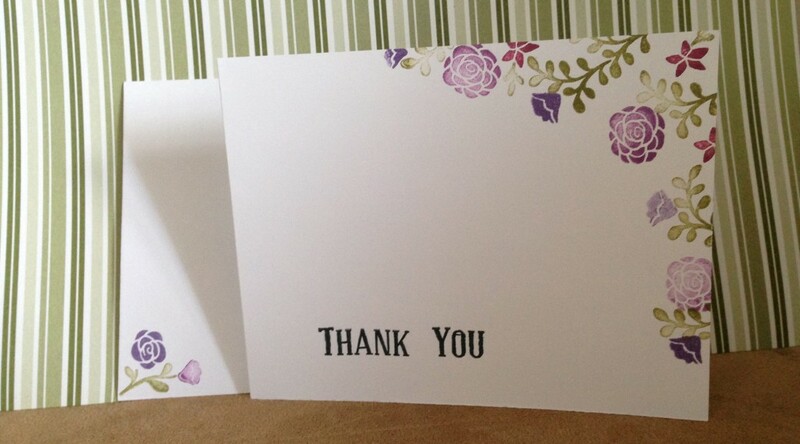 I also needed a thank you card so I combined the two. 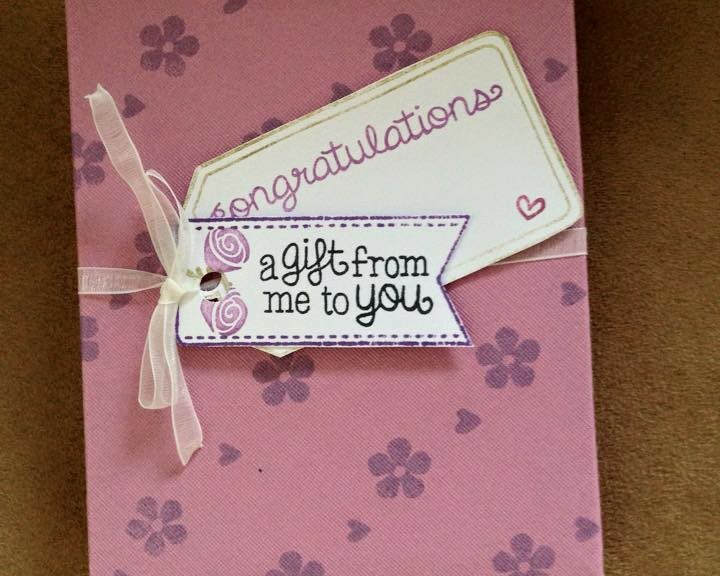 Extra Details: You need a square piece of paper to make the explosion inside the card, so I made a square card. 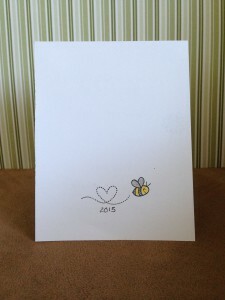 I started with the panel for the front of the card. 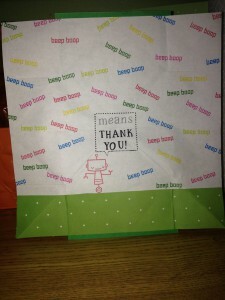 I stamped the robot and speech bubble. I also made masks for the images. I wanted to add droplets of color, so I smooshed my dye ink pads on an acrylic block and add a little water. Using a paint brush, I sprinkled some ink drops all over the panel. Once the ink was dry, I removed the masks and adhered the panel to the front of a square green card base. Then I started on the explosion panel. I started with a flat piece of typing paper. I stamped the sentiment first. 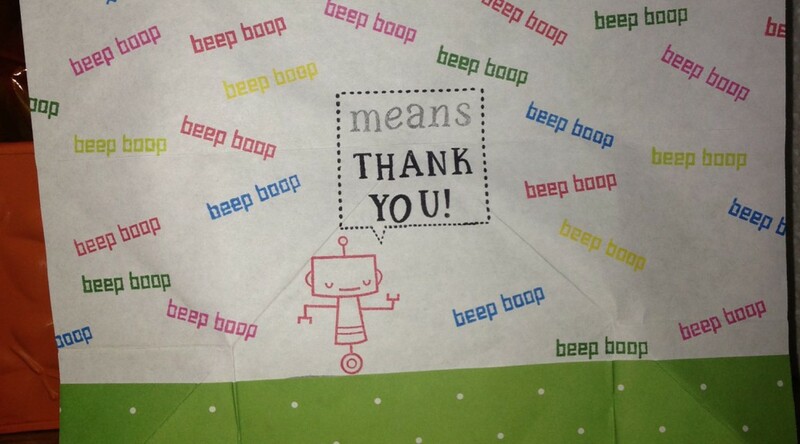 Then, I stamped the robot and speech bubble. I did some more masking to make the speech bubble big enough to fit my custom sentiment. The robot looked to be floating in air, so I added a strip of thin patterned paper to help ground him. 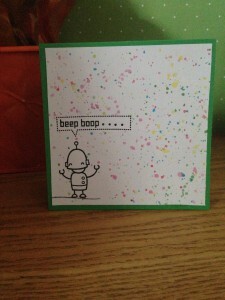 I stamped the beep boop sentiment in the same colors I used to splatter the front panel. 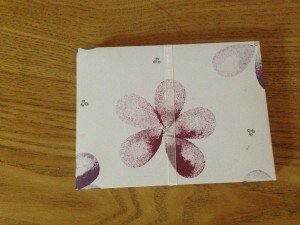 After all the ink was dry, I folded the paper following the tutorial’s instructions and adhered it to the inside of the card. 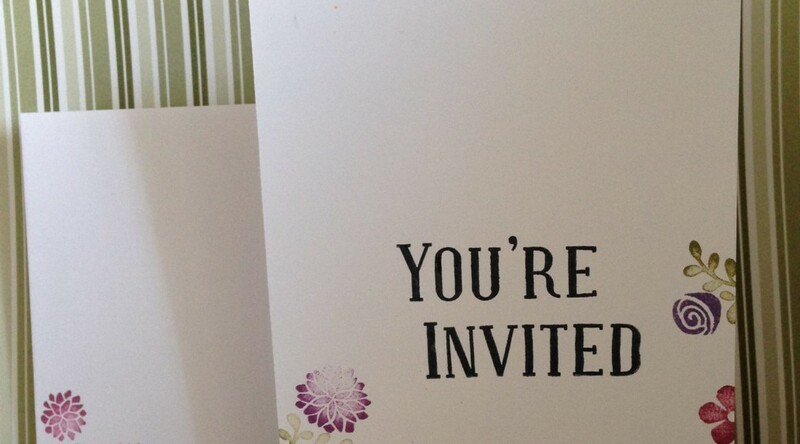 After seeing the bridal shower invitations I made, a friend asked me to make a card set for her to donate to a local charity auction. At this time, I only owned a few supplies, so I got creative. 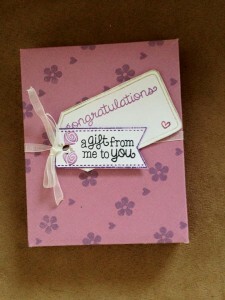 In the end, I made 8 cards and a matching box to put them in. 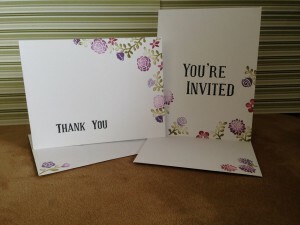 Extra Details: I started by using my VersaMagic Chalk Dew Drop ink pads to create flowers. 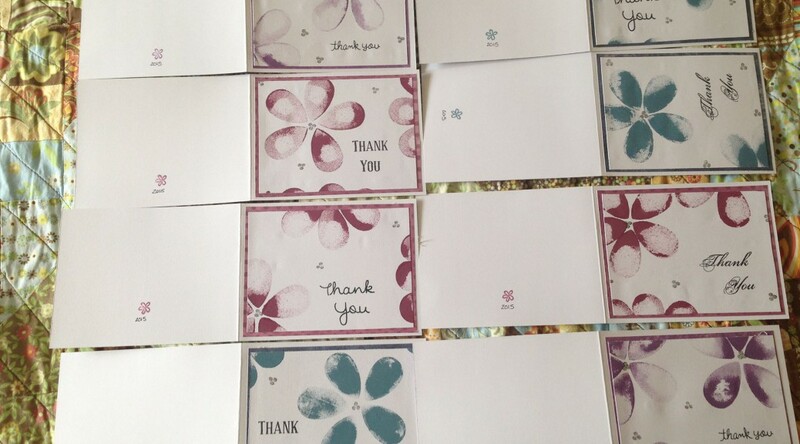 I then stamped a variety of Thank You sentiments on each panel. 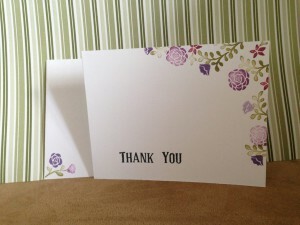 I added some interest with silver pigment ink and a small stamp from Lawn Fawn’s Penelope’s Blossoms stamp set. 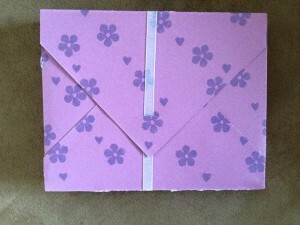 I trimmed the stamped panels down to a smaller size, layer a piece of patterned paper from my stash. Lastly I adhered them to the white card bases. 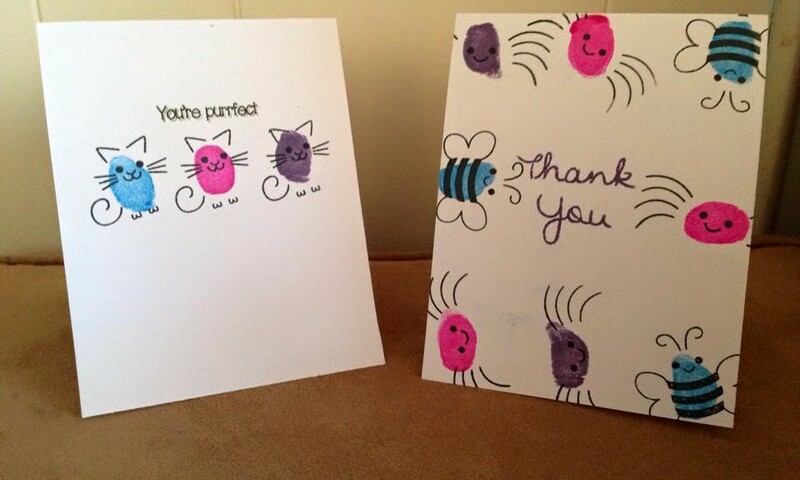 My kiddos needed to send thank you cards to a family friend. They each wanted to make their own and this is what they created. 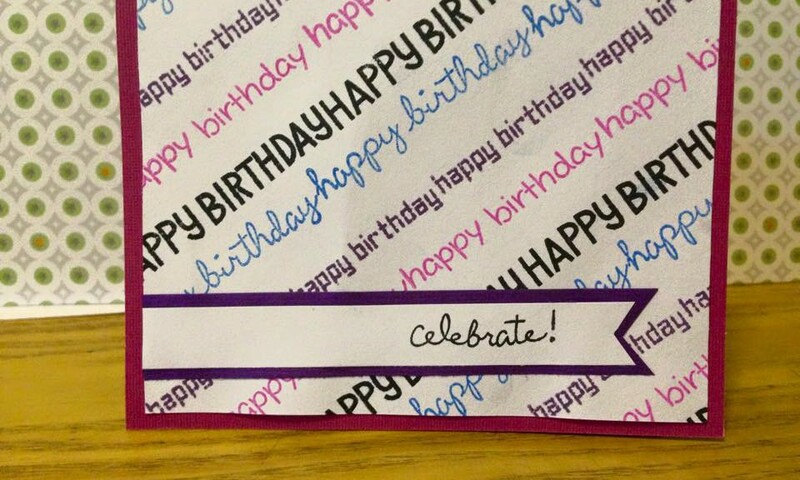 This is a birthday card I made when I first started creating cards. 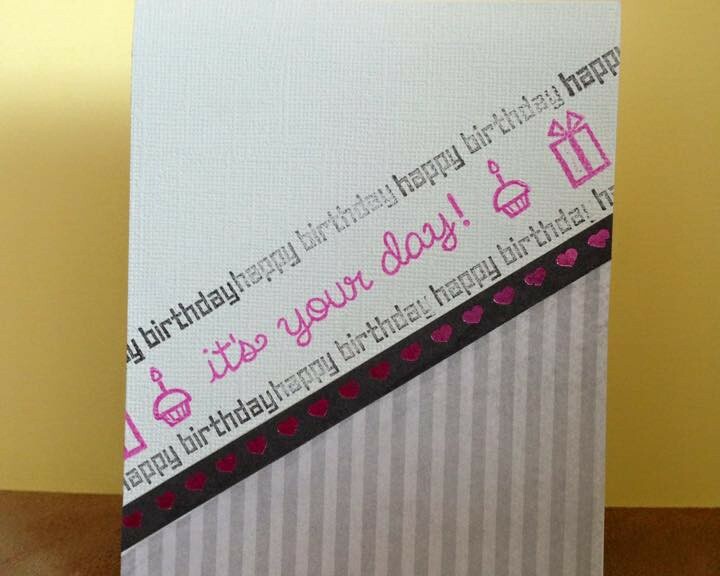 Extra Details: I started by stamping the white panel with all the versions of Happy Birthday I owned at the time. I used 4 different colors of ink for some interest. I added a banner to highlight a different sentiment. 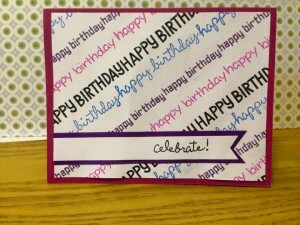 I used a strip of colored card stock to create a frame to help the white banner stand out against the background. 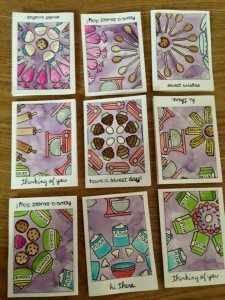 I just got the Baked with Love stamp set and wanted to use all the images. I also just got a bunch of Distress Inks and wanted to try water coloring with them. I had so much fun playing with my new supplies. 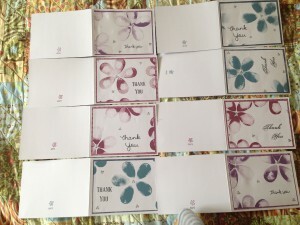 The finished cards. Some are upside down in the picture because I wanted you to be able to see the whole sheet and the finished cards in the same picture. 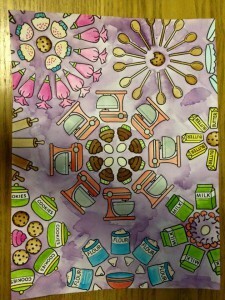 Extra Details: I started by stamping a full sheet of water color paper. 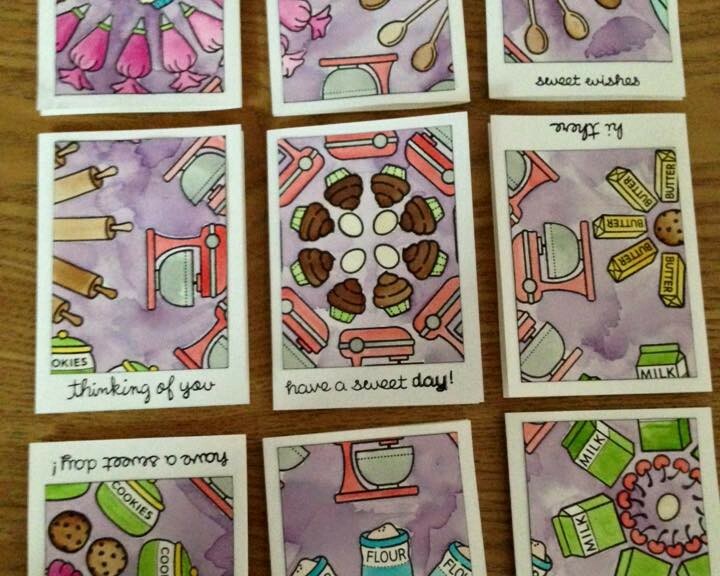 Using Distress Inks, I water colored all the images in. Once that was dry, I cut the piece up into 12 equal pieces. I went for a smaller card size because I couldn’t bear to throw away any of this sheet. 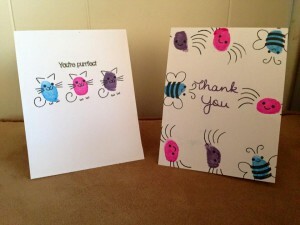 I adhered the water colored pieces to the card bases, added a sentiment to each and was done. 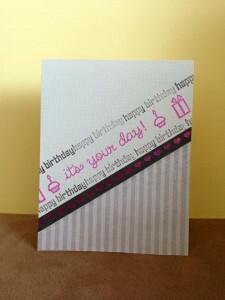 This card is for a friend who loves grey and was celebrating her birthday. Extra Details: I started with a grey card base. 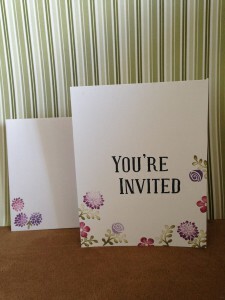 I cut some patterned papers at an angle to give the card some interest. 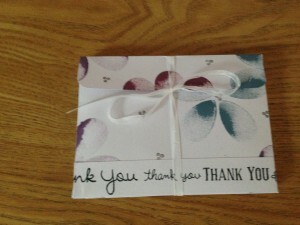 Before adhering the papers, I stamped the sentiments and images on the same angle. I glued everything together and call it done.